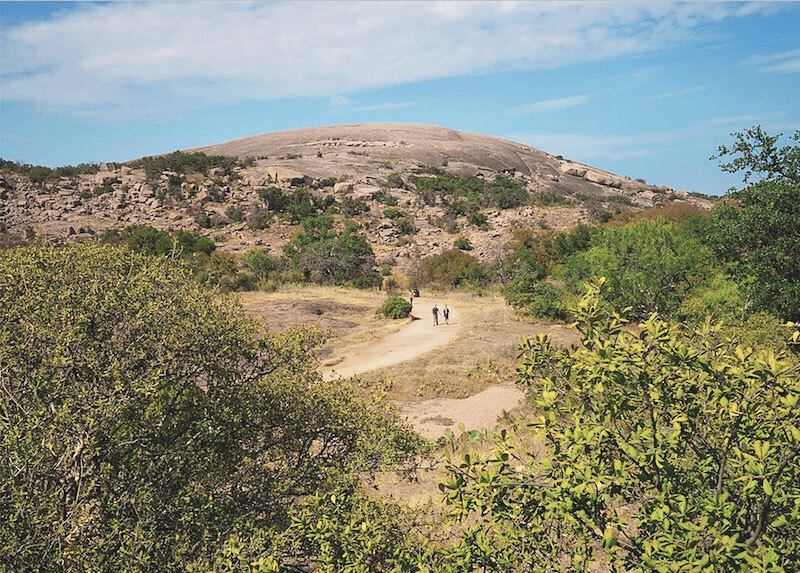 Enchanted Rock was named after the spiritual powers Native Americans believed it harnessed. Today, the state park remains a popular destination for those looking to commune with nature. 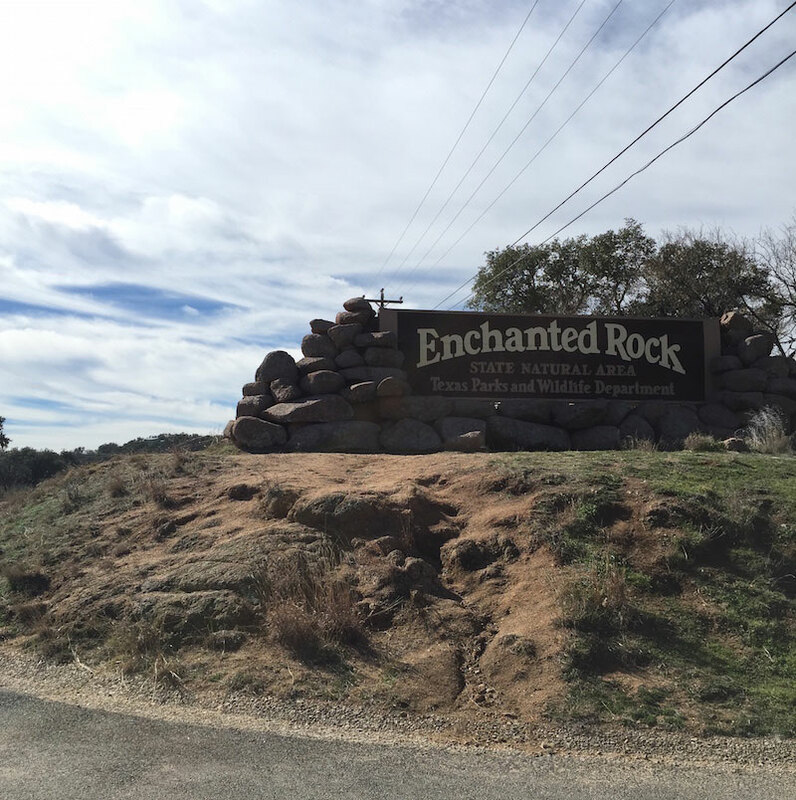 The entrance to Enchanted Rock is located at 16710 RR 965 north of Fredericksburg. Once you get to the entrance, you may see a line of cars on the side of RR 965 facing west. This is the waiting line to get inside the park (don’t cut). 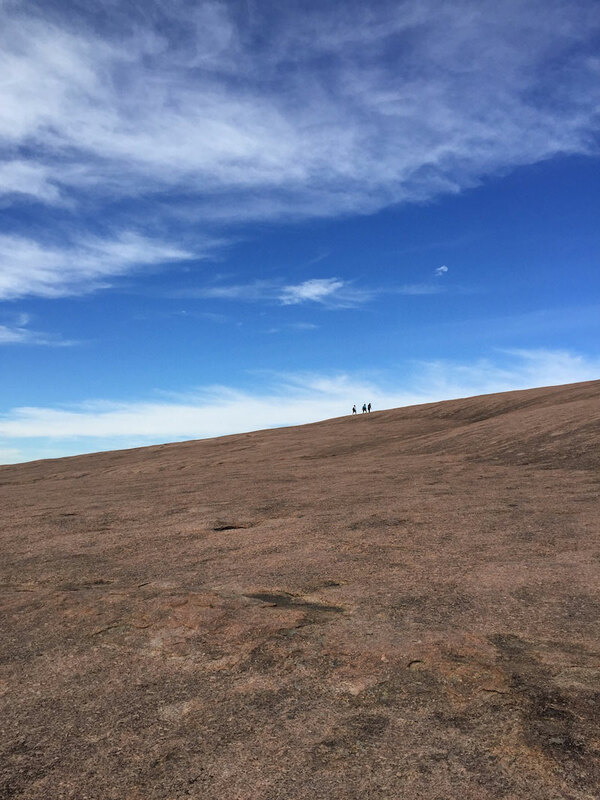 Enchanted Rock State Natural Area is popular almost year-round, so there will always be a wait on the weekends or holidays. Depending on how busy the park is, you could wait as long as 30 minutes in line — it’s worth it, I promise. Visit the park on a weekday or early in the morning to avoid any extra wait time. Once you get past the entrance, park rangers will point you to the headquarters and parking spots. Pick up a park map when you’re inside the park headquarters. The Loop Trail is four miles long and takes you around the perimeter of the dome. It’s an easy walk, so I recommend it if you have the time. Or, just go straight to the top! Take the Summit Trail, where you’ll climb a steep 425 feet in 0.6 miles. Conquering the sharp incline of the Summit Trail was a workout, to say the least. I could feel it in my calves, thighs and glutes the whole way up (and a few days after). However, I completely forgot about the struggle once I reached the summit. 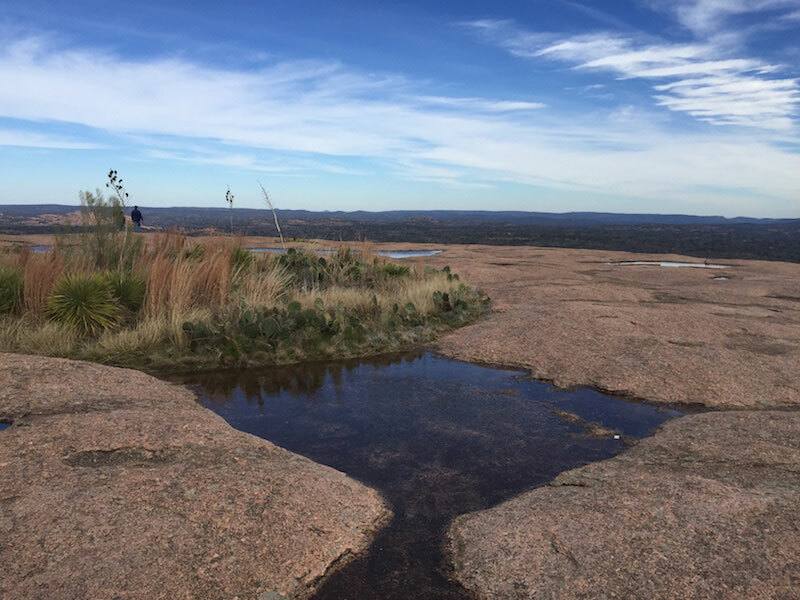 The view from the peak of Enchanted Rock is a sight to behold. I could see for miles from the top of the dome. As congested as the park seemed at my arrival, there were no crowds on the dome. Any people within eyesight were mere ants compared to the gargantuan views. I felt so small, and I swear I felt some of the magic of which ancient Indian tribes swore. I relaxed in my solitude, taking in the pure, unadulterated nature around me. Keep in mind that pets are no longer allowed to hike along the Summit Trail. New regulations have been put in place to protect the vernal pools and other sensitive habitats at the top of the dome. 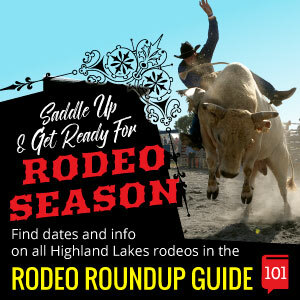 However, pets are still allowed in designated day-use and camping areas as well as on the Loop Trail. Just make sure to keep your pet on a leash! Before you go: Reserve your Save the Day Pass online or by phone (512) 389-8900 in advance. As of January 26, 2019 Texas State Parks uses a reservation system which is very helpful during peak seasons. What to bring: There is no shade on the massive dome, so bring sunscreen. Bring plenty of water, too; you’ll be dying for it after the hike. It’s windy at the top, which will be a nice relief on a hot summer day, but on crisp, cool days, carry a light jacket. Bring your camera. If you’re feeling artistic, bring a sketchbook or a watercolor set. Make sure you’re wearing comfortable hiking shoes. 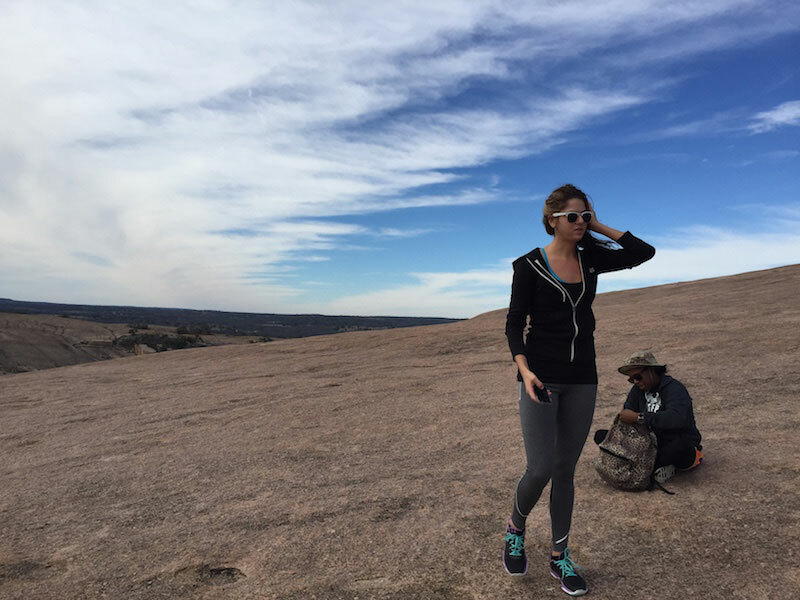 Rock climbing: Enchanted Rock has hundreds of routes that fit every skill level of rock-climbing enthusiasts. There are several outfitters and rock-climbing guide services listed on the website. For aggressive rock climbers, consider participating in Granite Gripper, an annual climbing competition each fall. Bird-watching: Bird enthusiasts can observe more than 20 species of birds, including roadrunners and woodpeckers. Bring your binoculars and grab a bird checklist from the park headquarters. Stargazing: Scale the dome at sundown for a stunning view of the Milky Way. Enchanted Rock has been designated an International Dark Sky Park. Bring your telescope and attend a Rock Star Party led by the Hill Country Astronomers. Check the stargazing calendar for events. One last note: Legend states that “bad fortune and death will befall anyone who climbs the rock with bad intent,” according to the Texas State Historical Association. So visit Enchanted Rock with good vibes and positive intentions, and you will have an unforgettable experience. 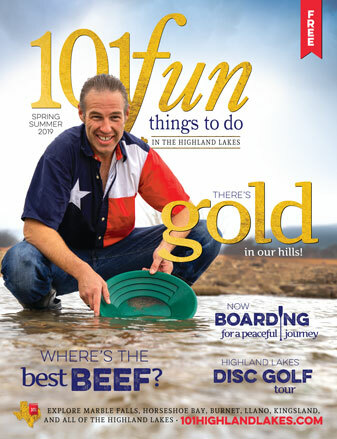 Editor's note: This article was updated to reflect the March 1, 2016 changes and January 26, 2019 changes from the Texas Parks and Wildlife Department. Hours: Open Daily 8 a.m. to 10 p.m.